Give your guests something to cheer about with a set of our delightful custom coasters. Choose the custom coasters that fit your party theme, select a color, upload from 1 to 4 photos, add custom text and get ready to party. 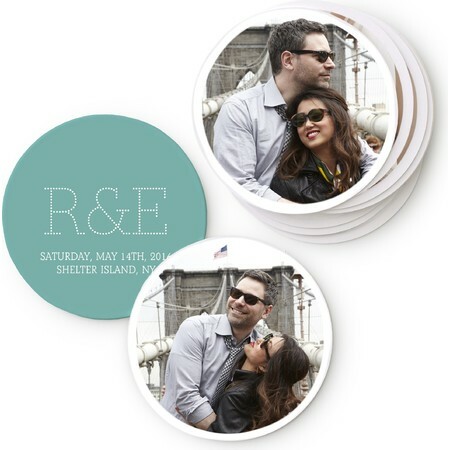 Choose from a variety of custom coasters in different shapes and styles. 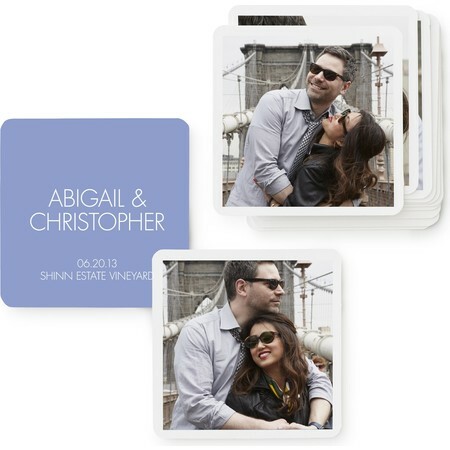 Select a classically elegant look, black tie style, bold theme or playfully whimsical set of custom coasters, add your personalized message, select a color and give your guests a reason to smile. Personalized coasters make great gifts, too. 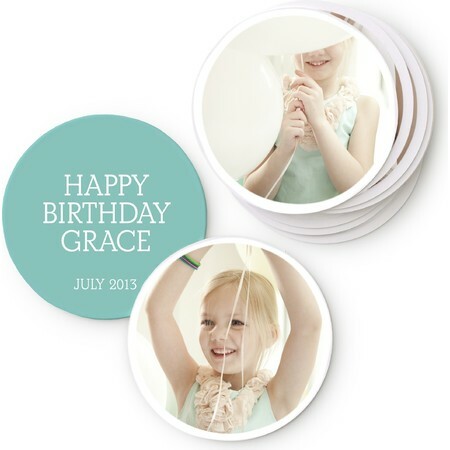 Commemorate a birthday party, family reunion, graduation, wedding or other celebration with a set of charming custom coasters from Pinhole Press. Our custom coasters measure 4 inches by 4 inches. Choose a square or circle shape and customize to your heart's content. Remember, it's the little things that make a party special. 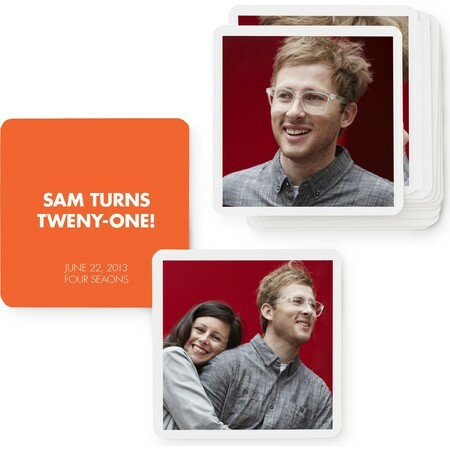 A set of engaging, personalized coasters simply adds to the fun.